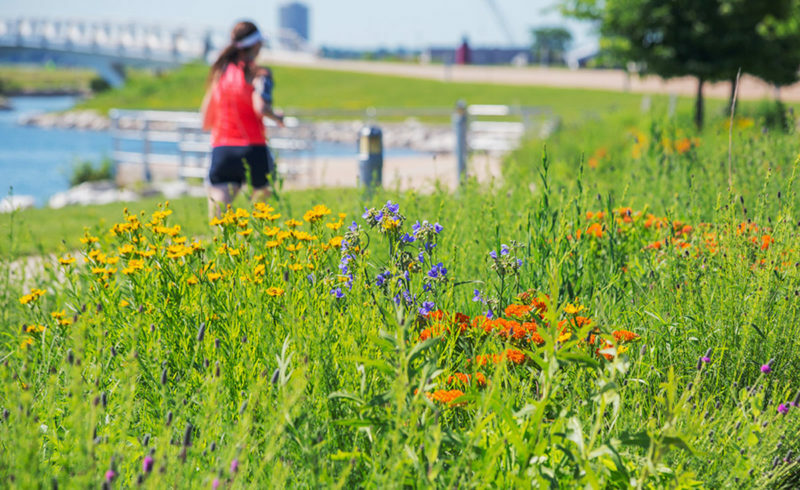 LAKESHORE STATE PARK, formerly known as Harbor Island, is the only urban state park in Wisconsin and is designed to provide an urban oasis with recreational opportunities and outdoor educational programs. The 22-acre park includes a 1.7 mile trail that connects to the Hank Aaron and Oak Leaf state trails; a watercraft beach area with access for canoes, paddleboats and kayaks; fishing areas and 20 boat slips for vessels up to 60 feet in length with overnight boat camping available. A bridge connects the north end of the park to the Summerfest grounds and an extension of the land near the Marcus Amphitheater connects the south end.